Unless you’ve been hiding under a rock for the past few weeks, you’ve noticed that the ALS Ice Bucket Challenge has taken the nation by storm. But in case you’ve been MIA, I will explain. Basically, people nominate and challenge each other to pour a bucket of ice water on their heads within 24 hours of being nominated or the nominee has to donate $100 to ALS. To prove they have completed the challenge most people post a video on social media. Then they tag other people to challenge and the process repeats itself. These videos have been devouring my Facebook feed and at first it was fun to see all of my friends and acquaintances torture themselves. As time went on it kind of got annoying because it seemed that everyone and their mother would rather dump freezing water over their head than donate money. I didn’t get it. So when my friend (hi Avika!) asked if she could nominate me I debated whether or not I wanted to participate in this chilly challenge or just quietly donate on my own. It wasn’t until I read this article that I realized the power of the Ice Bucket Challenge. I realized that people weren’t just pouring ice on their heads because it’s the “cool thing to do”. The ice bucket challenge was succeeding is raising awareness and donations for ALS. As of today over $4 million has been donated since the challenge started! In the end I decided to participate in the “fun”. I dumped ice water on my head, nominated some friends, and decided to donate $1 for every “like” my video got on Facebook. I thought that was a good compromise. There are few things more intimidating than staring down at a pot full of water and ice and knowing that you’re going to dump it on your head in the next five seconds. So now reader I challenge you! 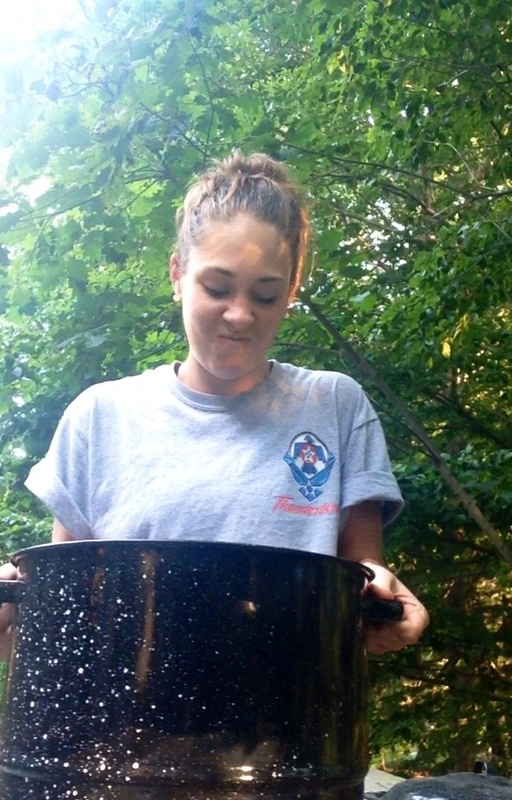 I won’t make you dump a bucket of ice on your head, but I do challenge you to donate to ALS. You can do that right here. I also encourage you to watch the video below to learn more about ALS and the man who sparked the viral ice storm, Pete Frates. It is truly inspiring. Categories: Uncategorized | Tags: ALS, Charity, Donate, Ice Bucket Challenge, Life, Lifestyle, Pete Frates | Permalink.